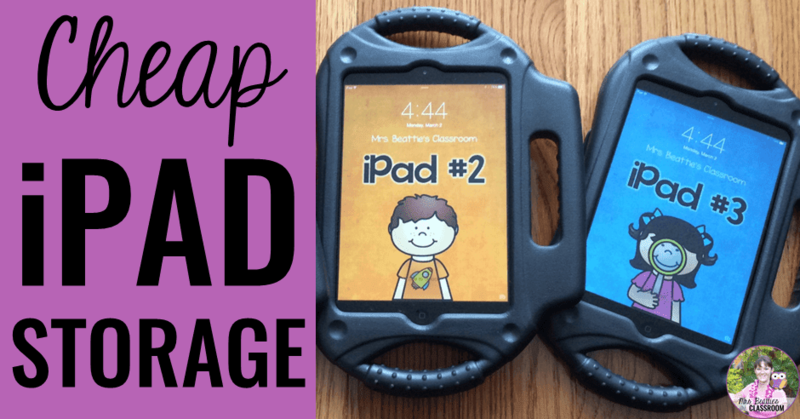 Do you have a set of iPads in your classroom and can't afford the fancy storage containers? I think this is the reality for most teachers. 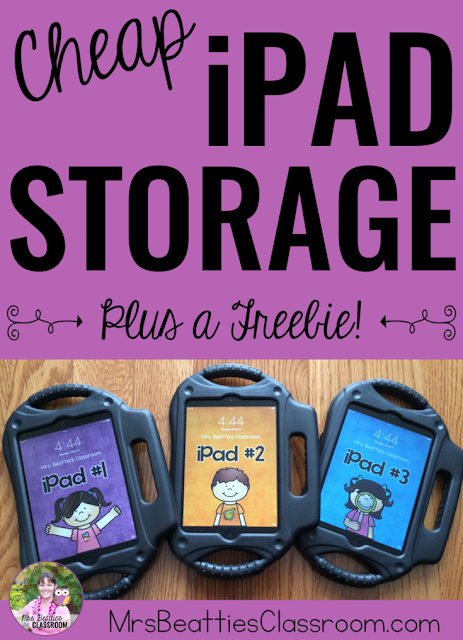 Check out this super-simple suggestion for extremely cheap iPad storage for your classroom! 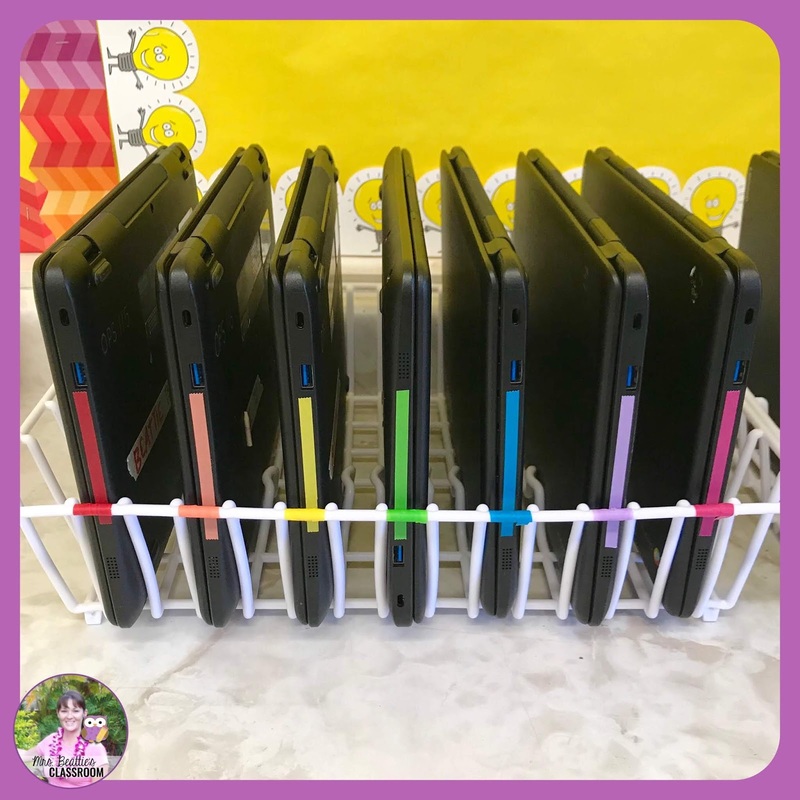 When I first received my six classroom iPads, I struggled with having them standing in a plastic bin for the first few weeks. 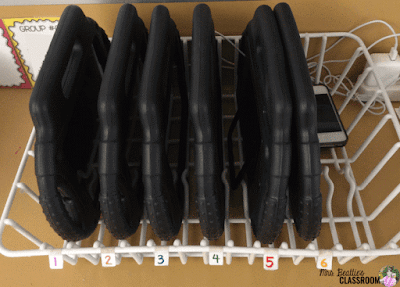 The problem was, every time a couple of the iPads were pulled out, the entire bin tipped over spilling the others. A colleague of mine made an amazing suggestion that has worked brilliantly in my room ever since! This plastic dish drying rack from the dollar store an absolutely PERFECT storage solution for my classroom iPads, even with the chunky protective cases! 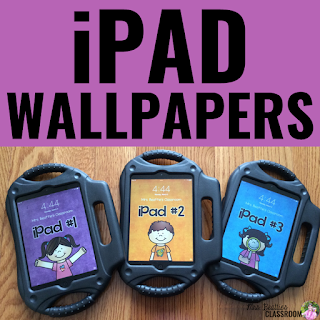 I created groups for my iPads and set them up with customized, numbered wallpapers on the lock screen that match the numbered tabs attached to the side. 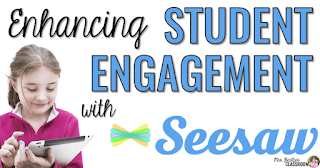 I placed my students into groups so that I can tailor the apps on each device to the needs of that particular group, and they can easily tell at a glance whether their iPad is available for use at any given time in the day. This also works perfectly with Chromebooks! Where did you get your ipad lock screen? Love those! I would love it if they were available in your store! I'd buy them today!